Context: ‘Pelican Bird Festival-2018’ was recently organized at Kolleru lake. It was jointly organised by the Andhra Pradesh Tourism Authority (APTA) and Krishna district administration. 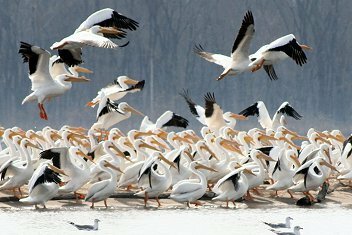 Thousands of pelicans, painted storks and other birds will visit the lake during winter season, roost, breed and fly with their off springs. Recently, officials identified that Atapaka is one of the largest pelicanry in the world. Kolleru lake is one of the largest fresh water lakes in the country. It is located between Krishna and Godavari delta. It was declared as a wildlife sanctury in 1999. It is a Ramsar site and is also listed as an Important Bird Area. The lake is known to amateur birdwatchers and professional ornithologists as a Pelicanery — a location were the Grey Pelicans, a large magnificent bird, nest and breed. Grey pelicans had vanished from the lake in 1973 for nearly 35 years and returned to it to nest again in December 2006. The Grey Pelican also called the Spot Billed Pelican is listed in Schedule I of the Wildlife Protection Act and in the Red Data Book. It is also considered a “globally threatened species” under the “vulnerable” category. Context: The First ever International Kala Mela is being in New Delhi. The International Kala Mela has been organised by the Lalit Kala Akademi in partnership with IGNCA of the Ministry of Culture. 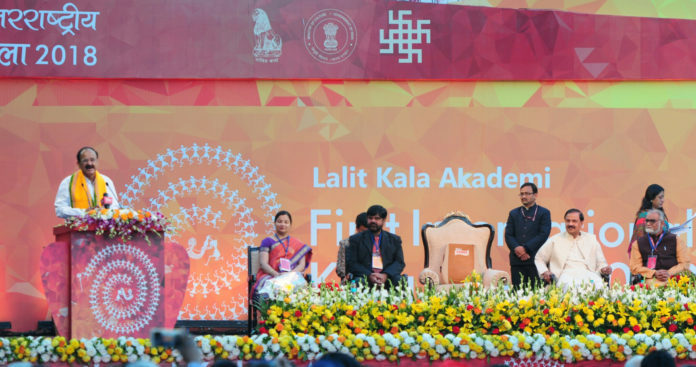 The central objective of Kala Mela is to focus on direct interaction between the artist and the connoisseur and also educating and raising awareness about art, which has been the mandate of Lalit Kala Akademi. This comprehensive outreach shall include the participation of National, International level Artists/ Art Critics of repute from all over the Globe. More than 800 artists from across the world are taking part in the Festival. The festival serves as a platform for artists to showcase their art works. The Lalit Kala Akademi or National Academy of Art is India’s National Academy of Fine Arts. It is an autonomous organization, established at New Delhi in 1954 to promote and propagate understanding of Indian art, both within and outside the country. It does so through providing scholarships, a fellow program, and sponsoring and organizing numerous exhibitions in India and overseas. Context: Indira Gandhi National Centre for the Arts (IGNCA) is organizing an International Conference on, ‘Demetrios Galanos and His Legacy’. The convention is being held in Delhi and Varanasi, in addition to organizing the exhibition and folk music of Greece. The conference is being organized by Indira Gandhi National Center for the Arts (IGNCA) under the Bharat Vidya Prayojana, a long term academic program of the IGNCA. 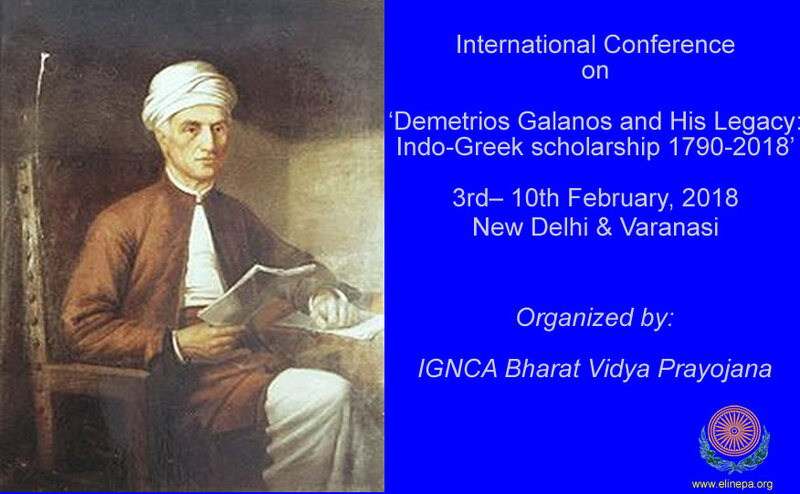 The aim of the conference is to focus on academic and cultural exchanges between India and Greece made by scholars and artists both Indian and Greek, in modern times since Demetrios Galanos. Demetrios Galanos (1760–1833) has a special place among the European Indologists of the nineteenth century. He was the only one who stayed in India for 47 years, and except for the first seven years when he lived in Calcutta, for 40 years he lived in the city of Varanasi, mastering Sanskrit, Hindi and Persian, from local scholars. Contributions: He translated the Bhagvad Gita into Greek among many other Sanskrit texts. His major contribution was the compilation of a Sanskrit-English-Greek lexicon of about 9000 words. 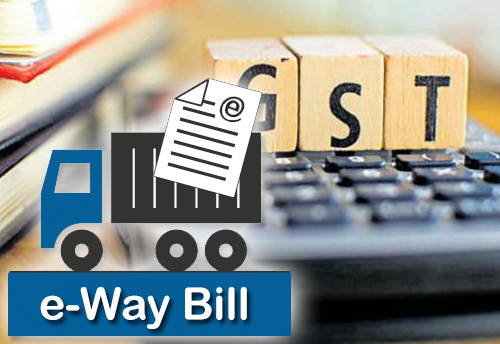 Context: With the E-way bill generation platform facing technical glitches, the Government has extended the trial period for e-way bill. However, the government has not clarified how long the trial will run. E-way is an electronic billing system for traders who are moving their goods for sale beyond 10 km radius. Under the system, transporters carrying goods worth Rs 50,000 will be required to get goods pre-registered before transporting them from one location to another. While the mandatory compliance of inter-state E-way bill may roll-out soon once again, however, the for intra-state, the date is June 1. States such as Kerala, Rajasthan, Uttarakhand and Karnataka have already implemented the e-way bill system. E-way is valid for all-India movement and transporters can generate the bill electronically and in self-service mode. Under the system, there is no need to visit any tax office and check post. Transporters can generate e-way bill on the official website through the Mobile App, SMS and offline as well. Transporters can visit the portal ‘ewaybill.nic.in’ and generate the e-way bill by registering themselves by giving the GSTIN. Those who are not registered can get themselves registered on the website using Aadhaar or PAN card. 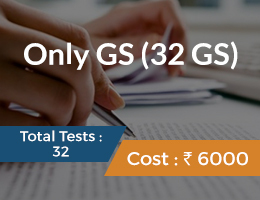 E-way bill can be generated by entering vehicle number. In case of breakdown or transhipment, the traders can update the vehicle number using the same E-way bill. Once generated E-way bill, however, cannot be cancelled for 24 hours. Some traders are not happy with the move. Traders are demanding simplification of the process for generation of these electronic receipts. Explaining that it will be more of a hindrance than compliance, traders say the move will force them to shut shops. Context: India has contributed an additional $1 million to the India-UN Development Partnership Fund earmarked for South-South cooperation. The contribution aims to intensify its partnerships with other developing countries. What is it? The India-UN Development Partnership Fund was set up as a partnership between India and the United Nations Office for South-South Cooperation (UNOSSC). What is it for? Managed by UNOSSC, the fund will support Southern-owned and led, demand-driven, and transformational sustainable development projects across the developing world. Focusing on Least Developed Countries (LDCs) and Small Island Developing States, United Nations agencies will implement the Fund’s projects in close collaboration with partnering governments. Focus areas: Reducing poverty and hunger, improving health, education and equality, and expanding access to clean water and energy. 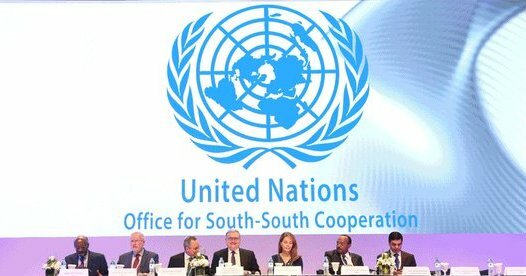 The United Nations Office for South-South Cooperation (UNOSSC) was established to promote, coordinate and support South-South and triangular cooperation globally and within the United Nations system. UNOSSC, hosted by UNDP since 1974, was established by the UN General Assembly with a mandate to advocate for and coordinate South-South and triangular cooperation on a global and UN system-wide basis. Functions: UNOSSC receives policy directives and guidance from the General Assembly and through its subsidiary body, the High-level Committee on South-South Cooperation. UNOSSC submits its strategic planning frameworks to the UNDP, UNFPA and UNOPS Executive Board for approval and funding. Context: The government has re-introduced LTCG tax on equity shares. Investors have to pay 10% LTCG tax on gains exceeding ₹one lakh on the sale of shares or equity mutual funds held for more than one year. 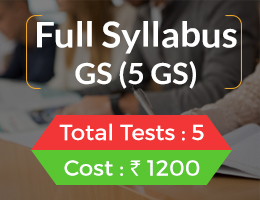 Previously, short-term capital gains (STCG) tax of 15% was levied. The Centre said if the gains exceeded ₹one lakh in a year, then 10% LTCG tax had to be paid without the benefit of indexation (adjusting the profit against inflation to compute the real taxable gains). LTCG or long-term capital gains refer to the gains made on any class of asset held for a particular period of time. In case of equity shares, it refers to the gains made on stocks held for more than one year. In other words, if the shares are bought and held for more than a year before selling, then the gains, if any, on the said sale are referred to as long term capital gains or LTCG. One, it corrects, somewhat, the prevailing imbalance on market investments because though investment instruments are taxed gains from holding shares for long are not. Even short-term capital gains – money made by selling shares after holding for less than a year – are taxed at 15%. Two, investors who park wealth in the stock markets would be encourage to deploy the capital in ways that are more economically productive, say, in manufacturing activities. Three, it makes the government seem a little less pro-rich, little more benevolent towards the no-so-rich as much of the capital gains are collected by corporates, not individuals. LTCG tax should be seen as part of a broader policy framework to boost capital investments while providing the government more money for genuine public goods. 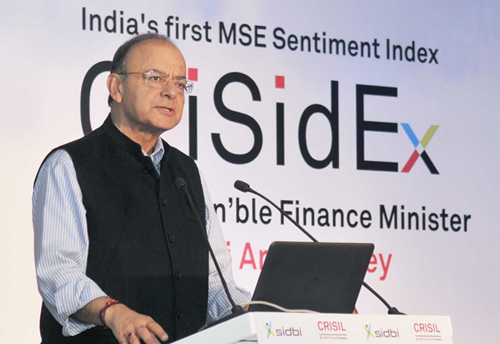 Context: CriSidEx, India’s First MSE Sentiment Index, has been launched by CRISIL and SIDBI. What is it? CriSidEx is a composite index based on a diffusion index of 8 parameters and measures MSE business sentiment on a scale of 0 (extremely negative) to 200 (extremely positive). 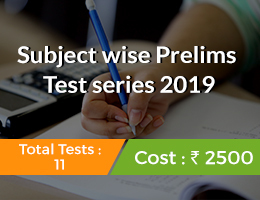 CriSidEx will have 2 indices, one for the ‘survey quarter’ and another for the ‘next quarter’ once a trend emerges after few rounds of the survey, providing independent time series data. Benefits: The crucial benefit of CriSidEx is that its readings will flag potential headwinds and changes in production cycles and thus help improve market efficiencies. And by capturing the sentiment of exporters and importers, it will also offer actionable indicators on foreign trade. MSME sector is backbone of the economy. 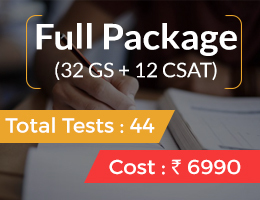 It is one of the largest employer in the country and with the vast population where employment either in government or in the large industry itself has limited potential. This is one sector where people not only exhibit their entrepreneurial skills, become part of large value chains but also become job creators in the process. And that is the reason why a bulk of the jobs in manufacturing, trading have been created in this particular sector. Context: The Centre has sanctioned a new project to control pollution in River Sal at Navelim town in Goa. The project was sanctioned by the Ministry of Environment, Forest & Climate Change under the National River Conservation Plan. The project would cost of Rs. 61.74 cr. 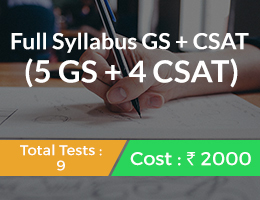 Both the Centre and State will share the cost on 60:40 basis. The third largest river in Goa, the Sal River is based in South Goa and starts in Cavelossim. It is one of the nine major rivers of Goa. The River measures 35 kilometers in length and has a basin size of 301 square kilometers. Being the only river that flows in a north-south direction prior to flowing in to the Arabian Sea at Betul, the Sal River is a geologically odd one because it runs parallel to the west of geological coast. India is moving towards disaster, as water continues to grow scarce (with quantity remaining constant and quality deteriorating). While the reduction in quantity due to rise in population is causing water scarcity in several parts of the country, the reduced quality is not only furthering the scarcity, but also affecting health, agriculture, environment and the economy. As India moves closer to 2020, it is time the government focussed on overall scientific management of rivers. It is in India’s interest that the government realises the importance of eradicating river apartheid at the earliest. River conservation will, therefore, have to be a joint effort of agriculturists, industrialists, urban managers, ecologists and economists apart from government regulators. What is it? 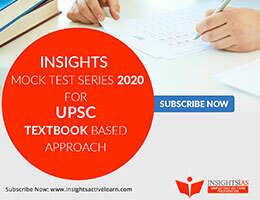 It is a book authored by Prime Minister Narendra Modi for students facing exams. 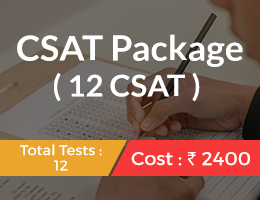 It aims to get through to students across the country on the threshold of examinations, and hopes to help them thread the needle with ease. What is it? The campaign has been launched by the Environment Ministry to sensitise the people and students, in particular, about climate change and global warming. The objective of the campaign is to restore and return the clean and green environment to the next generation. Context: India defeated Australia by 8 wickets to be crowned 2018 Under-19 World Cup Champions. Facts: India has become the only side in history to lift the coveted title for a record fourth time.